The Centre has asked the West Bengal Chief Secretary to take action against the IPS officers who took part in the recent protest against the CBI (Click here to know more). It is essential, in this context, to look at the rules officers are to follow, and the action to be taken for any violation. What is the Centre's direction? The Union Home Ministry, as the cadre-controlling authority of the IPS, has asked the state Chief Secretary to take action against five IPS officers. They had allegedly shared the stage with WB Chief Minister Mamata Banerjee during her recent sit-in protest against the CBI. The Home Ministry is also considering punitive action including withdrawing police medals conferred by the Centre to these officers or barring them from central deputation. There might also likely be an advisory by the Ministry to all states to ensure that officers adhere to the conduct rules. The All India Services (Conduct) Rules, 1968 stress the importance of political neutrality. No member of the Service shall be a member of, or be otherwise associated with, any political party/organisation. They shall also not take part in, or subscribe in aid of, or assist in any other manner, any political movement or political activity. A 1973 Cabinet Secretariat order has also clarified that taking part in a political party-organised meeting/demonstration would amount to assisting a political movement. Withdrawal of Medal - In 2017, the Home Ministry issued a circular describing the conditions for withdrawal of a President’s Police Medal conferred to an officer. For any action to be taken on an officer of the All India Services, the state and the Centre both need to agree. 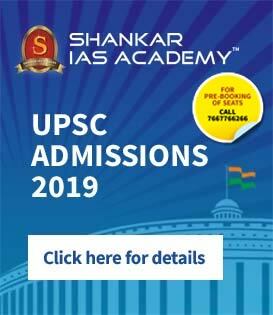 For any penalties to be imposed by the state government, the consent of the Union Public Service Commission (UPSC) and the central government is essential. In every case, the record of the inquiry shall be forwarded by the disciplinary authority to the UPSC for its advice. Such advice shall be taken into consideration before making any order imposing any penalty on the member of the Service. It is very rare for a police medal to be withdrawn. Among prominent examples, the most recent was that of R K Sharma in the case involving the 1999 murder of journalist Shivani Bhatnagar. After he was convicted by a trial court (he was later acquitted by the High Court), Sharma was dismissed in 2009 and then stripped of his President’s Police Medal. In 2017, Dharmendra Choudhary of MP cadre was stripped of his medal after the National Human Rights Commission implicated him for a fake encounter. Is the present case valid? Before any action is taken against the officers, it will have to be concluded that they were actually taking part in the protest. Of the various circumstances for withdrawal of medals specified in the rules, conviction and dismissal do not seem to be justifiable in the present case. Even if a case were to be made out on grounds of “disloyalty, cowardice in action or such conduct”, there would still have to be agreement between the Centre and the state.